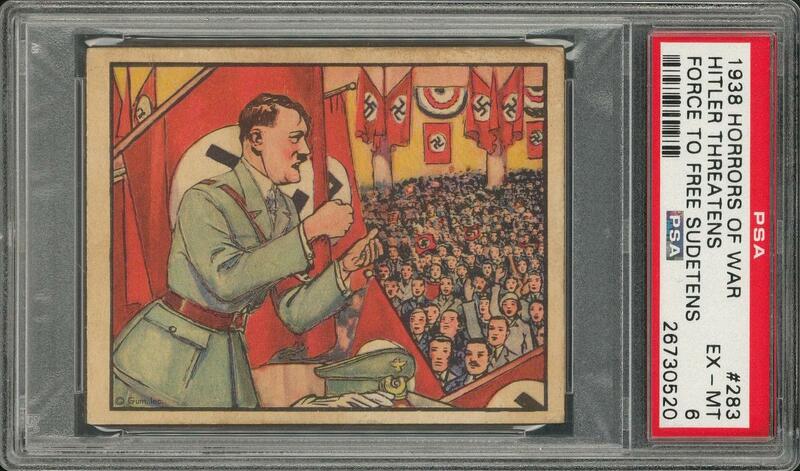 Graded EX-MT 6 by PSA. Among more than 110 examples recorded in PSA's census reporting, just twenty specimens have achieved a higher tier. 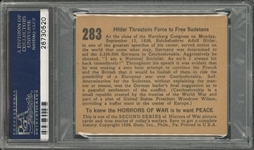 Offered here is the most notorious depiction in Gum, Inc.'s 1938 classic Horrors of War production. 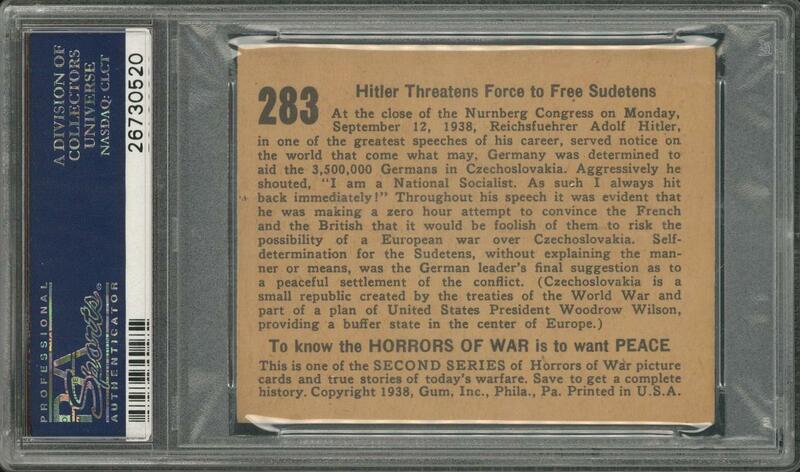 Number 283, entitled "Hitler Threatens Force to Free Sudetens," depicts the emerging German leader exercising his full, despotic stride as he waves his hands and passionately shouts to a rigidly mesmerized throng. As a centerpiece of its issue's appreciably scarcer run of "High Numbers," the acquisition of a suitable specimen of this card is regarded as one of the non-sports hobby's biggest triumphs. Here, faint touches to the corners and natural, light toning leave the image's emotional resonance wholly undiminished. 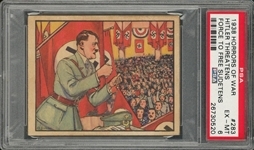 This is a visually stunning collectible, an item still capable of piquing the viewer's emotions eight decades after its artistic scene was inspired by then-current events. A notably significant piece, in pleasing Excellent to Mint condition.